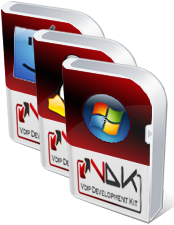 In this page you can download a trial version of VDK or proceed to purchase a full-featured version. This is the VDK version for Windows platforms (VS2008 – 32bit). Windows XP/Vista/7 are supported. This is the VDK version for Linux OS running on x86 64bit platforms. The library was compiled on Ubuntu 1004 and tested on a number of other 64 bit distributions. This is the VDK version for Linux OS running on x86 32bit platforms. The library was compiled on Ubuntu 1004 and tested on a number of other 32 bit distributions. Please note that all needed libraries are provided in the installation package but some of your already installed libs could interfere, be sure to be using compatible versions in case. Check the forum to get help.